Paula Chin and Jared Eng. Sixty-five-year-old Paula Chin, a mother and a business woman who lived in Tribeca, was reported missing on Monday, February 4. Her body was found in New Jersey on Tuesday. 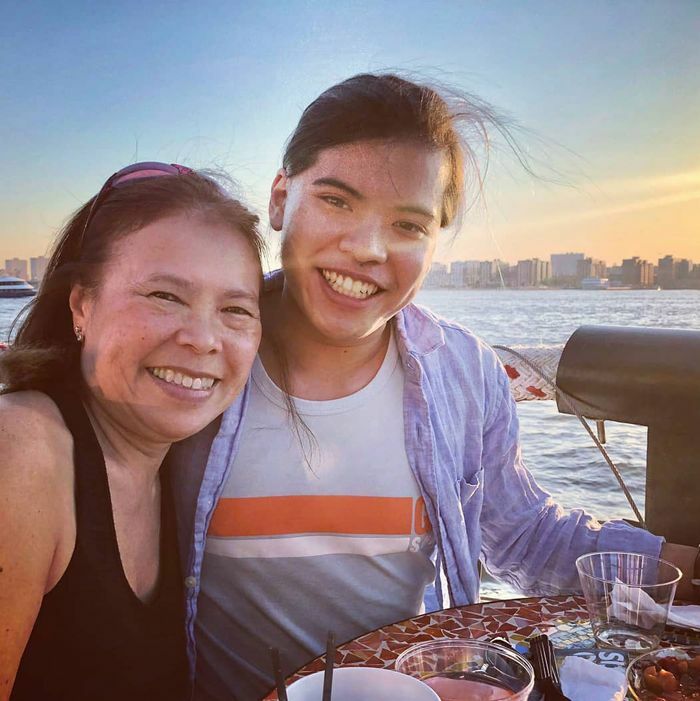 Her 22-year-old son, Jared Eng, is currently being held without bail on counts of tampering with evidence and concealment of a corpse, the New York Times reports; he is also the prime suspect in her killing. Two others, whom Eng has identified as girlfriends, have also been charged with helping him cover up his mother’s murder. Two women — 21-year-old Caitlyn O’Rourke and 18-year-old Jennifer Lopez, whom Eng has both described as girlfriends — are accused of helping Eng after he allegedly killed his mother. (He told the Post that he is polyamorous.) Lopez allegedly drove Chin’s Toyota Land Cruiser from Tribeca to Morristown so that she and Eng could dispose of his mother’s body there. According to the New York Times, O’Rourke told police that Eng called her after Chin’s death, and said that his mother “took a while to die.” Lopez is being charged with helping to move the body; the criminal complaint filed against the three points to security camera footage that shows someone moving the Land Cruiser in front of Chin’s building, and another person putting a duffel bag inside the car. The timestamps on the footage reads 2:31 a.m., on January 31. After they moved Chin’s body, Lopez reportedly texted O’Rourke, “It’s all clean, the hardest part was backing up the car.” In a confession, O’Rourke reportedly said that the three then drove to New Jersey on February 1 to finish disposing of Chin’s body, and wash clothing from the crime scene. O’Rourke is currently being held on $50,000 bail; Lopez’s bail is set at $100,000. According to Vice, O’Rourke’s attorney maintains that “There is no suggestion that my client had anything to do with a more serious crime. This woman is a young person in a terrible situation.” Lopez’s attorney also denies that she had anything to do with Chin’s actual murder, the Poughkeepsie Journal notes.